Impressive performances, Hong Kong’s Lam Siu Hang and Japan’s Satsuki Odo emerged as the winners of the Under 21 Men’s Singles and Under 21 Women’s Singles events at the 2017 ITTF Challenge Spanish Open in Almeria on Saturday 25th November, the first titles to be decided in the three day event. At the final hurdle Lam Sui Hang, the no.2 seed, accounted for the Czech Republic’s Tomas Polansky, the no.7 seed (11-13, 14-12, 11-9, 11-8); Satsuki Odo, the no.8 seed, overcame Russia’s Valeria Shcherbatyh (11-5, 11-3, 11-9). It was for Satsuki Odo and Valeria Shcherbatyh their first ever appearance in either an ITTF Challenge or ITTF World Tour Under 21 Women’s Singles final. However, one wonders, especially for Satsuki Odo, could the excursion in Almeria be the first of many? She is only 13 years old! Conversely for both Lam Siu Hang and Tomas Polansky, both have prior experience of such occasions. Alas, for Tomas Polansky, he has yet to stand on the top step of the podium; earlier this year he reached the Under 21 Men’s Singles final at the Seamaster 2017 ITTF World Tour Bulgaria Open in Panagyurishte but was beaten by Japan’s Misuki Oikawa. Now, somewhat differently for Lam Siu Hang it is two wins in five finals. Just over two years ago at the GAC Group 2015 ITTF World Tour Polish Open, he was beaten by the host nation’s Jakub Dyjas. Earlier this year at the Seamaster 2017 ITTF World Tour India Open he suffered in the title deciding contest; he was beaten by Japan’s Asuka Sakai. 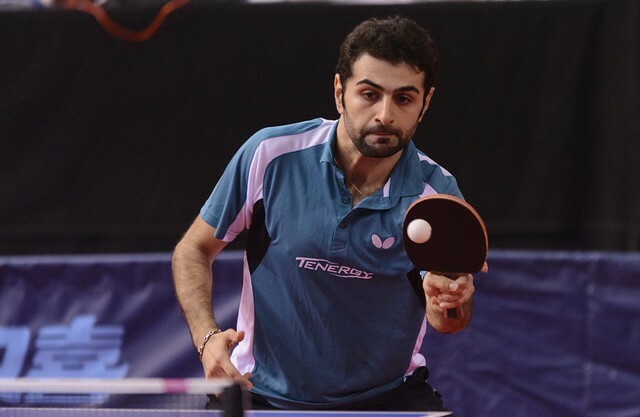 However, at the Seamaster 2017 ITTF World Tour Qatar Open, he emerged successful accounting for Croatia’s Tomislav Pucar in the final, before just over one week ago in Stockholm being beaten in the final by Korea’s Park Ganghyeon. Now in Almeria it is back to winning ways.